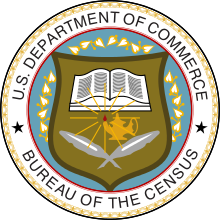 The Sixteenth United States Census was done by the Census Bureau. It found the population of the United States to be 132,164,569. This was an increase of 7.3 percent from the 1930 population. The census date of record was April 1, 1940. A number of new questions were asked. These included where people were 5 years before, highest level of education, and information about wages. This page was last changed on 11 August 2018, at 16:31.